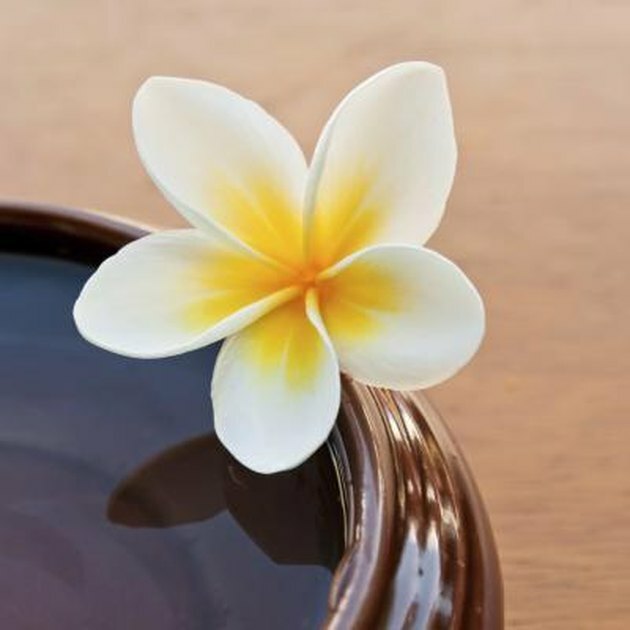 Frangipani is a popular, tropical flower that emits a heady scent. According to the Guide to Houseplants website, frangipani flowers are native to Central America. Grown in abundance in Hawaii, these showy blossoms are fashioned into flower necklaces called leis. 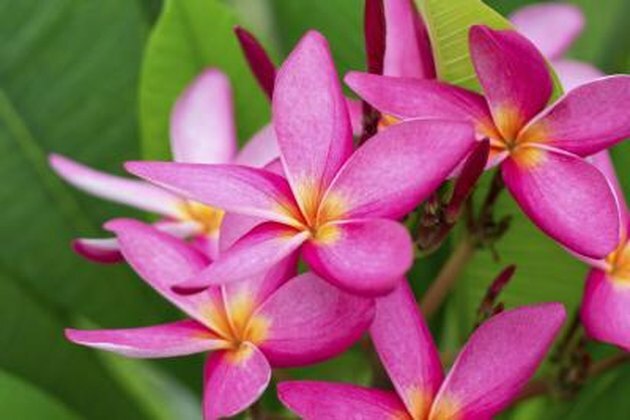 Frangipani is the Laotian national floral emblem. Frangipani flowers symbolize shelter and protection, according to the Perfect Wedding Day website. 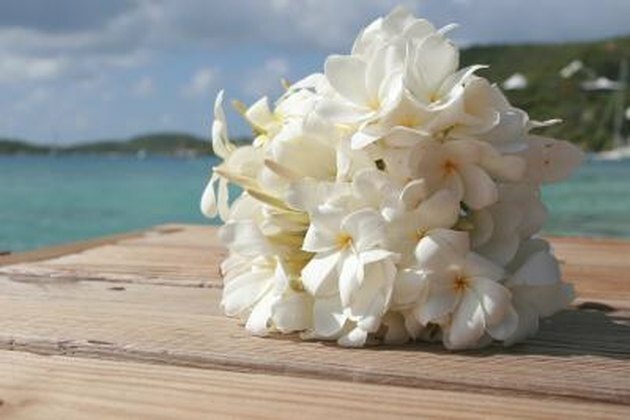 These blooms, also known as plumerias, create stunning bridal bouquets. Frangipani flowers represent perfection, blossoming into five-petal pinwheel shapes in white, vibrant shades of crimson, rosy-pink, yellow and diverse color combinations. Frangipani flowers summon subliminal feelings of peace and tranquility, according to the Sacred Garden Frangipanis website. 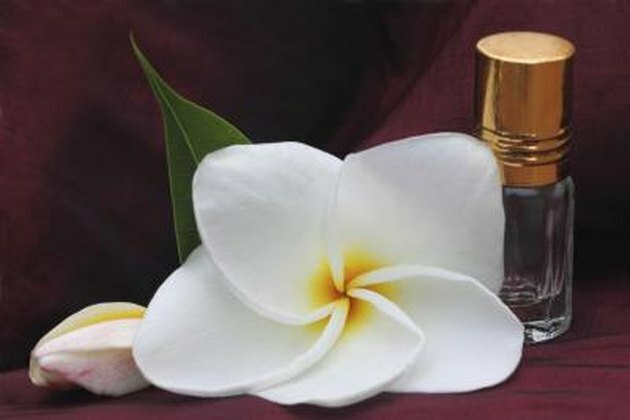 "Frangipani" is derived from the surname of 16th-century Italian aristocrat Marquis Muzio Frangipane, believed to have invented the perfume of the same name. 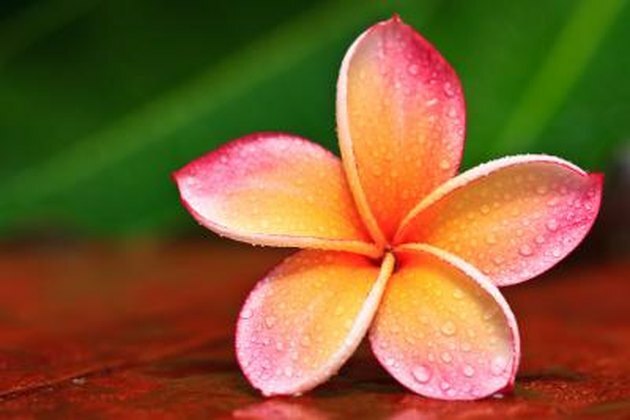 The frangipani flower's scientific name of plumeria comes from French explorer and botanist Charles Plumier, who studied the blossom and made its presence known throughout Europe before his passing in 1706. Frangipanis are members of the dogbane, or apocynaceae, plant family. Frangipani species number more than 300, including Plumeria rubra, Plumeria alba and Plumeria obtusa. 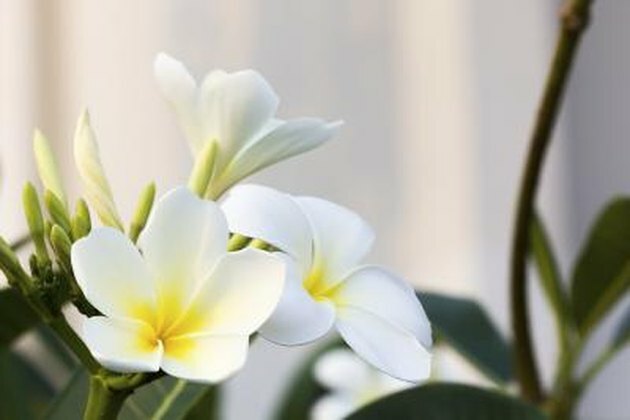 According to Southeastern Asian folklore, frangipani flowers supply shelter to demons and ghosts, and a Malaysian myth suggests that the plumeria scent symbolizes the presence of vampires. In Bangladesh, white frangipani blossoms signify funerals and dying.